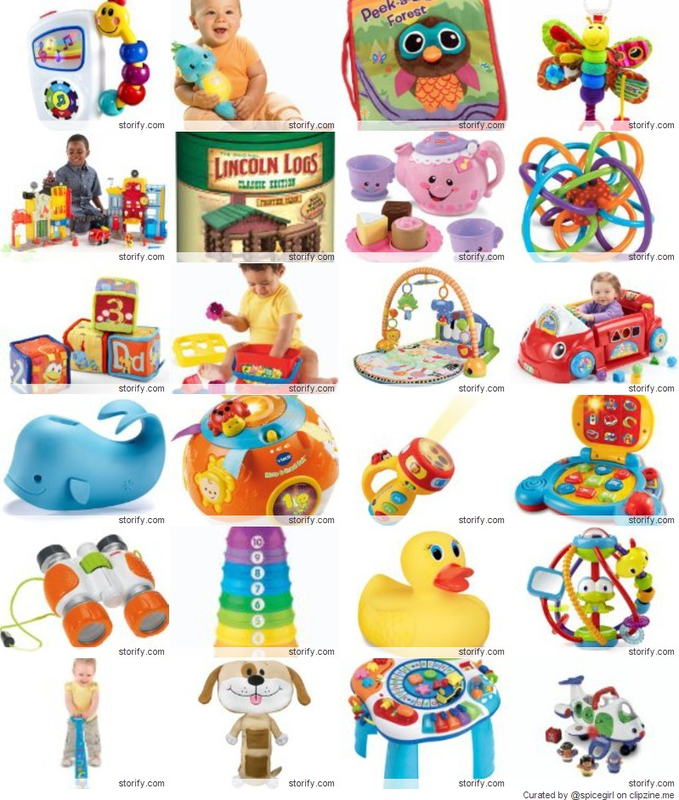 Here Are A List Of The Best Most Popular Inexpensive Toys For Toddlers. Start him out with the easy-to-remove play panel for floor play or fun on the run. Then step it up with the fun-to-maneuver walker. From Baby Steps to Big Steps The Sit-to-Stand Learning Walker is part of the Sit-to-Stand series of toys developed to grow with baby. Promote music appreciation and auditory development by introducing your little one to baby-friendly versions of classical masterpieces by Mozart, Vivaldi, Chopin and Rossini with the Baby Einstein take along Tunes. A large, easy to press button allows your baby to toggle through 7 high quality and enjoyable classical melodies at home, or for on-the-go fun. eatures: 100% Brand New. Material: plastic A lovely Inchworm toy Wind up design, easy to operate After wound up, it will turn, run until clockwork loose. Sophie the Giraffe, full of discoveries and activities to awaken baby's senses. Sight: The dark and contrasting spots all over Sophie the Giraffe's body provide visual stimulation and make her easily recognizable to baby. She soon becomes a familiar and reassuring object. Hearing: Her squeaker keeps baby amused and stimulates his hearings. The Spin and Learn Color Flashlight from VTech will light up your child's life. With its engaging ladybug button that speaks to your child and three colorful buttons, your child will learn all about numbers as they hear fun songs. Ten colorful blocks for baby to sort, stack and drop. Filling the bucket with blocks, dumping them out, and starting over is great for eye-hand coordination and other early skills. Then baby can move on to stacking and matching, and sorting the five different block shapes through the shape-sorting lid. The Lamaze Infant Development System introduces a comprehensive collection of developmental books designed to help parents and gift-givers choose the right book at the right time. Designed with input from respected child development experts, the program offers books featuring washable fabrics, durable pages, bright contrasting colors, and specially designed developmental features that make it fun for babies and toddlers to discover, learn, and read. Down on a Busy Farm This farm is abuzz with activity, just like the real thing. There's so much for a child discover and make happen. Little hands can make the barn doors open and close to the realistic sounds of "moo", "neigh" and "baaa". Open a page to learning with the Rhyme & Discover Book! Recommended for kids 6 months to 3 years, the Rhyme & Discover Book combines rhythm and rhyme with nursery favorites. The electronic book includes three light-up character buttons on the tabs of the pages. Kids will love helping Batman and his sidekick Robin, devise crime-fighting strategies from this secret command center equipped with all sorts of gadgetry. There's a Bat computer, secret walkways, a Batwing, an elevator, jail and more. Turn the Batman or Robin figures on any of the 3 activation disks to make cool things happen throughout the Bat cave. A vehicle for fun Shift into playtime gear with a sturdy, stationary car that's just baby's size, and fully loaded with busy activities inside and out! Baby can explore the interactive dashboard with a light-up baby "GPS" that offers up a variety of ways to make things happen. The Ocean Wonders Soothe & Glow Seahorse is the perfect companion for your little one. The Soothe & Glow Seahorse is great for play or sleep, with 8 lullabies, soft music and soothing sounds of the ocean to comfort baby. Put learning on a roll with the Move & Crawl Ball electronic learning toy! The Move & Crawl Ball will keep baby on the move. Wibble, Wobble, and Roll Chocked full of fun things to press, pull, spin and feel, the Move & Crawl Ball introduces shapes, numbers, animals, and animal sounds to your happy baby. The Baby Einstein Bendy Ball features bright primary colors and the recognizable Caterpillar character on center band. Soft, flexible plastic make this ball both durable and fun and the Bendy Ball's design makes it easy for little fingers to grasp and roll. The multi-colored rolling Rattle Ball inside adds additional sounds and visual stimulation to this toy. Best and Most Popular Inexpensive Toys For Toddlers.